2018 has been a fantastic year, and we’re filled with gratefulness for our families, friends, colleagues and extraordinary clients. Before we head into the Thanksgiving weekend, we’re taking a moment to reflect on all the bountiful work and bountiful joy we’ve experienced. Our team is 40 people strong and still growing! For the third year in a row, we were named one of Minnesota Business Magazine’s 100 Best Companies to Work For. 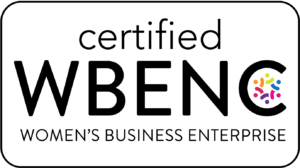 One of our founding principals, Kasey Hatzung, was named Woman Business Owner of the Year by NAWBO-MN. We built out a deck space next to our studio, which faces the Mississippi River. Our work has taken us to Miami, Virginia Beach, New York City, Boston and Anchorage – just to name a few. At the heart of all of this has been our close partnership with you. And for that, we thank you. “Hey, Siri, Where’d You Get Your Personality?” Four Ways to Make a Digital Assistant Engaging. When you think of digital assistants, you’re likely to think of Amazon’s Alexa, Google’s Assistant or Apple’s Siri, and how they make your life a little easier by giving you reminders, providing commute updates and helping you with your online shopping. The form and function of these assistants is often top of mind and it’s easy to see how these aspects align with their respective brands and help engage the user. But what about the personalities of these digital assistants? How do their personalities enhance the user experience, and how do you design a personality that is both helpful and fun for the user to interact with? The personality of a digital assistant is an essential piece of the puzzle when it comes to user engagement and satisfaction. A digital assistant may have plenty of functionality, but if accessing that functionality isn’t an enjoyable experience, users might decide not to use your product. Below are four key things to consider when designing a digital assistant personality that engages users and aligns with the client’s brand. • Personality Quirks: While incorporating personality quirks might seem less intuitive than building in empathy, adding minor personality flaws helps humanize interactions in a way that allows the user to relate to their digital assistant.2 Think about taking an existing personality trait of the parent brand and amplifying it or adding a nuance to it for the digital assistant. • Gendered or Genderless? : Currently, the “out of the box” personality setting for the majority of digital assistants is explicitly or implicitly female. Conversations in the media highlight concerns that female digital assistants reinforce gender stereotypes by implying that they are more suitable to fill service roles.4 This means choosing a gender – or not – increasingly has the potential to make a statement. 1. Tearsheet. Banks struggle with empathy, privacy issues with voice banking. Available at: https://www.tearsheet.co/artificial-intelligence/banks-struggle-with-empathy-privacy-issues-with-voice-banking. Accessed August 2, 2018. 2. Digiday. ‘We’ve trained our customers to be super rigid’: Lessons from Capital One’s chatbot, Eno. Available at: https://digiday.com/marketing/weve-trained-customers-super-rigid-lessons-capital-ones-chatbot-eno/. Accessed August 2, 2018. 3. Time. Google wants to give your computer a personality. Available at: http://time.com/4979262/google-wants-to-give-computer-personality/. Accessed August 2, 2018. 4. Forbes. Voice assistants as an extension of your brand: Three things marketers should consider. Available at: https://www.forbes.com/sites/forbescommunicationscouncil/2018/07/23/voice-assistants-as-an-extension-of-your-brand-three-things-marketers-should-consider/#71c44c0d8a24. Accessed August 2, 2018. Impact of Finances on Health. If you’ve ever dealt with bill-driven insomnia or credit-card-induced stomach pains, you’ve experienced financial stress. Health care professionals have long studied the role stress plays in our personal health and, subsequently, how stress affects our quality of life and how we interact with our surroundings. As our culture becomes more adamant about treating anxiety and fostering open, honest conversations about mental health, a recent push to understand how money problems produce stress has occurred. There’s now increased awareness of “financial stress” – the relationship between financial difficulties and their effects on health – in the health care and financial industry sectors. As a result, employers, universities and research institutions alike are actively creating and developing myriad resources to combat this crisis. Research shows that financial stress affects different components of a person’s overall health. As institutions continue to undertake research endeavors to understand how finances affect our health, financial stress has become a widespread experience in the United States. In 2015, the American Psychological Association published research intended to identify the most common sources of tension in the United States and concluded that 72% of Americans experience financial stress. In follow-up studies published in 2017, they determined that money is the second-most-common stressor among Americans. Other institutions have discovered that the most common symptoms of financial stress are anxiety and depression and that financial burdens also affect physical health and interpersonal relationships. Further research illustrates that, as a result, our nation’s productivity, the quality of our familial relationships and the experiences we are providing for our kids are declining. Research shows that financial stress affects certain demographics differently, too. Apart from the distinct ways that financial stress affects individual components of our health, different demographics experience unique challenges when they encounter this issue. Communities especially vulnerable to financial stress include parents of young children, low-income individuals, the uninsured, people with limited mobility and other disabilities, and first-generation college students, to name a few. Strikingly, the heightened vulnerability experienced by these groups can be so pronounced that, sometimes, people may fall victim to substance abuse or avoid seeking medical care altogether. Institutional endeavors and public health campaigns are helping Americans combat financial stress. The substantial breadth of offerings provided by employers, universities and federal agencies is impactful because, as a result of our increased awareness of financial stress, resources are being customized to address the specific needs of unique communities and individual aspects of overall health. Apart from the impact of financial stress on Americans’ health, many studies assert that financial stress reduces the quality of work and productivity of employees. Collectively, employees across all positions in any given workplace contribute to billions of dollars’ worth of lost revenue every year. Employees spend a substantial amount of time at work worrying about finances, and their productivity is negatively affected by stress even when they actively concentrate on tasks. These insights offer a new perspective on the age-old aphorism “health is wealth.” Check out our report on the impact of finances on health to learn more about this pressing issue and its intricate nuances. Download the full report here. Everyone is a decision maker at some point. Decisions come in many shapes and sizes, but how do we make them effectively? The best decisions are made with a plan in mind, so here are some tips on how to make an effective decision-making plan. Making the decision alone? Set a deadline and stick to it. This ensures you don’t overthink the choice you are making, causing “paralysis by analysis.” Look for all options and solutions and think about their potential consequences. Whether you make a list or choose an option lottery style, you can make decision-making fun. Getting perspective from friends or family is a great way to approach a decision. Making a group decision? Make sure to get other perspectives – this can reduce bias. However, avoid getting input from too many people. You can start to diminish your decision-making power, the more people you add to the mix. Make a checklist. You want to keep your goals and priorities in mind while also looking past those goals, asking, “How will this affect us in a year?” Finally, follow up after the decision has been made to see if there are tweaks to make, and get feedback from your group. Trying to simplify the decision-making process is essential to making sure you focus on the actual decision and how it will affect you, be it big or small. Decisions need to be made all the time. Why not make them painless? Want to know more? Download the full report. Romance in the Digital Age. HAS THE INTERNET KILLED ROMANCE? Since Tom Hanks and Meg Ryan first IM’ed each other in You’ve Got Mail in 1998 – largely normalizing online dating in popular culture – claims that we’ve entered a “dating apocalypse” have arisen time and again. Whether or not that’s true, dating has undeniably changed in the digital age. Dating-focused tools have largely shaped the modern romance landscape. Beginning with Match.com’s launch in 1995, a plethora of online dating sites and apps have become available to singles looking to find love. Rather than waiting for a chance encounter that leads to finding the one, modern singles can seek out partners on popular apps like Tinder and Bumble. In terms of meeting like-minded people, these new tools are definitely convenient. However, they also have downsides. For example, curating an online dating profile and vetting possible partners often results in the online dating burnout phenomenon. In addition, the rise in assortative matching through online dating has led to more marriages between financial “equals,” but there is also a resulting paradoxical effect of increased wealth-inequality gaps across households. New communication tools have changed romance, too. Of course, online dating and dating apps aren’t the only things that have changed our concepts of and behaviors related to dating, romance and love. How we communicate overall has drastically changed in the last 20 years, and tools like texting, video calling and social media have also had an impact, in both positive and negative ways. One of the positives of digital tools is how video calling can make couples in long-distance relationships feel more connected. For example, in 2015, a public radio station in California showcased Jorge and his wife, Magda, who must live separately in the U.S. and Mexico for 10 years because of U.S. immigration law. However, FaceTime helps them close the gap. Magda often strolls around the streets of her small hometown FaceTiming Jorge on her iPad and introducing him to passersby. When the Wi-Fi is working, she even “brings” Jorge to church with her. Brands are figuring out how to use modern romance to drive loyalty. Brands have learned that these new digital tools have both advantages and disadvantages in human relationships and are using that information in marketing. Some brands, like Apple, tend to focus on how their technology brings people together. Others, like Dentyne and Durex, have encouraged disconnecting, tapping into people’s desire to turn off their screens and have in-person interactions. Finally, some brands are actually leveraging these new digital platforms themselves to market to customers. For example, on Valentine’s Day in 2015, Domino’s allowed Tinder users to “swipe right” and engage in a pun-filled conversation for a chance to win a free pizza, resulting in 700 Tinder matches and a potential social reach of more than 200,000. As new digital tools continue to alter human behavior, relationships and how we think about dating, romance and love will also continue to change. To learn more about the effect digital tools are having on modern romance, download the full report.